Today is Olivia Newton-John’s 65th birthday. I can’t believe she is that old. She sure doesn’t look it. Then again I can’t believe I’ll be 41 next week, and I sure don’t look it – but that’s a post for another time. This post is about my first passion, my first ‘idol’, my first scrapbook-worthy person. 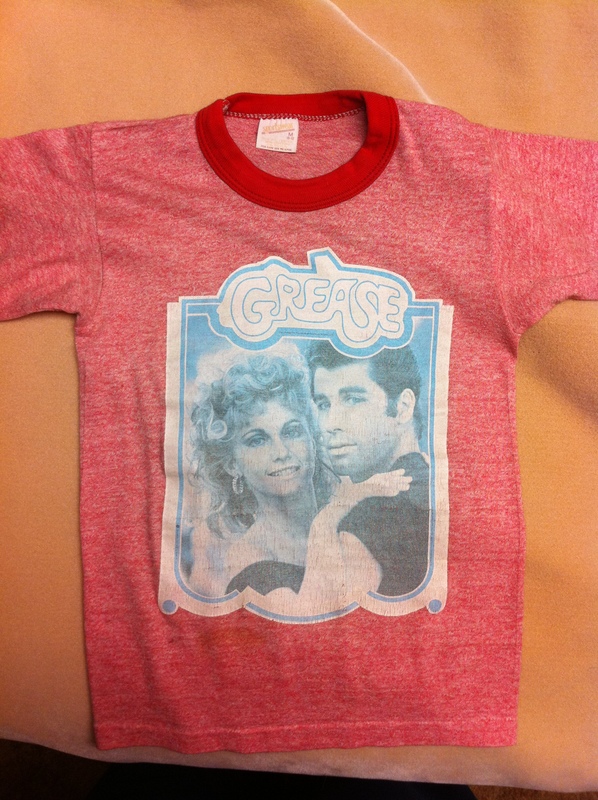 I first discovered Olivia Newton-John watching Grease in 1978 when I was five. Soon after I had a scrapbook full of magazine photos and articles about Olivia as well as all of her albums. My favorite ONJ album is Totally Hot, which contains my favorite ONJ song A Little More Love. Unfortunately I have yet to meet Olivia, but I have been lucky enough to see her in concert twice. The first time was in 2003 in Tunica, Mississippi. I was in the front row and cried during her first five songs. I was just so excited to finally see Olivia live in concert after 25 years. The second time I saw her in concert was last year at The Strathmore in Rockville, MD. To this day Grease is still my favorite movie. I must have seen it thousands of times. I can recite every line, literally. After seeing Grease in the theater, I watched it every time it came on tv. When Beta came out, I taped it so I could watch it over and over. I bought it on vhs and then on dvd, but I still watch it when it comes on tv or cable, even though I can watch it whenever I want – and even though I can recite it word for word. I got the chance to see Grease in the theater again on its 30th anniversary. I went everyday the first week it was re-released, and then saw it again when they re-released it in Ireland. I have also seen the play Grease several times in various cities, including Baltimore, Memphis and Dublin. Grease is like home to me, it comforts me.